This is one of the most difficult blogs that I have written, but perhaps the most necessary one. With the explosions of transfers I set out to find some answers as to why. I've spoke with dozens parents and players that have either transferred or inquired about the transfer process about their experience in selecting their original school and all of the responses have been similar. Most have done their homework on their schools of choice and have done a dilegent job in their research only to get to the program and decide that it isn't for them. Most of the stories start from "the coach is a totally different person from the one that recruited me" to "the coach lied to me about everything". I decided to take a new and unprecedented approach and the responses were rather shocking. I turned my investigation in a different direction and talk to college coaches directly about the recruiting process to get a better ideal on where the disconnect originates. There obviously was a lot of hesitency and concern for several coaches to participate and even a few coaches that did participate were somewhat apprehensive in the beginning. Coaches agreed to speak on the condition of anonymity, therefore, no coaches names, schools or conferences will be mentioned. Even with anonymity many coaches refused the interview and others decided that they would not like to participate after the first few questions. Some of the responses also were ommited by me since the answers would reveal or cause some speculation about the coaches actual identity. I can say that I had a total of 11 active Division 1 coaches and two former Division 1 coaches participate and the participants ranged from head and assistant coaches from high, mid and low major programs, several coaches were from top 25 programs. I interviewed coaches from each gender and race and for the most part the answers were consistent across the board, however, some answers varied with the level of the program. The following is a partial transcript of some of the questions asked and the answers given. Coaches are identified as C1 through C13 and ordered according to level, meaning C1 would be a major conference division 1 coach and C13 would be a low conference division 1 coach and the others would fall between the two in order. Race and gender aren't specific, neither is coaching title (head. assosiate or assistant). Some answers weren't used as they were almost identical to another coaches answer or it didn't provide any insite to the question asked. Question #1: When recruting a player does rankings, accolades or status matter? C1: No, I look at will the player make us better and fill a need. Rankings will help me identify players, but some players that are ranked high aren't the players that I'm looking for. We have been blessed to bring in top recruits, but not every kid that comes here is an All American. So, no it doesn't matter. C4: Yes, if I have to choose between two relatively equal players I'd take the higher ranked one. C5: I really don't care about that stuff, but my president and alumni do, so if I can get an All American in my books I'll take her in a minute. C11: We have never had an All American, but stay competitive in our conference every year because we bring in character kids that want to work hard. Question #2: Players seem to have an expectancy to play, do you ever bring in players that you aren't planning to play? In other words, have you ever lied and told a kid that they would play when you knew they wouldn't? C1: I have never told a player that they will play immediately. I believe that ever player that I recruit can contribute to our program and I tell them that they will "get a chance" to contribute. I may have used the word immediately, but I never promise them or lied. Follow up Question: So why do some players think that? I think that players and parents hear only what they want to hear and don't hear the "if's, probably's and "maybe's" in the conversation. C2: Yes, I may have told them that and maybe that's what I believed at the time, but players need to do their parts. Many high school players come in unprepared to play at this level and it's frustrating. C4: Sometimes I have to tell players that they will play or even start because other coaches are telling these kids that. What chance would I have at a kid if I told her that she'd probably not play much her freshman year when other coaches are telling her that she'd be the starter? C7: I'm old school. I remember when freshmen didn't expect to play until their junior season. Coaches were able to recruit replacements to their current backups and starters and groom them. Now everyone wants to play immediately and they aren't ready. C8: Yeah, I told a kid that before and the parent came to the school wanting to beat me up during conference play. I'll never do that again. I just say that she will have opportunities. C13: We normally don't carry more than 12 players and they all play. We have a system in training camp and practice and players earn their minutes. If she is not playing, she knows exactly why and what she needs to do to get on the floor. Question #3: Why do you think so many players transfer so quickly? C1: Peer pressure, parents and AAU coaches. C2: I think that coaches are still recruiting players that are in college already. I know that there are some coaches out there that look at rosters and see what kids aren't playing and make contact, maybe not directly but through third parties, it's still illegal. C3: Quite honestly, their are a few players that I have not played because I wanted them to transfer. They weren't right for the program so I made their stay uncomfortable knowing that they would leave eventually. Question #4: Have you ever recruited a player that you didn't want or need so that your rival wouldn't get them? C1: No, I recruit based on need. C3: I have never recruited a player so that another school didn't get them, however, I have recruited players that I wasn't high on to get their teammates or siblings. Question #4a: Have you ever recruited a player to get another player? C6: Sometimes AAU coaches have forced my hand to take a particular player that I wasn't feeling in promise of leading other players to me. C9: Yeah. I look at it this way, I have 15 scholarships, I'm only going to play 8 players so, I can burn a few spots in a 2 for 1 deal. C10: There was this kid that I really wanted that came on campus 3 times for visits and each time she brought her teammate. I offered both hoping that I could get them to commit together. The one that I didn't want commited and the other one ended up going to a big time school and not playing. Follow up Question: How did the one that you got do? Terrible, she was just terrible. Wouldn't transfer though. Question #5: How does race and gender affect your recruiting? C1: We have a family atmosphere here. Follow up Question: Care to elaborate? C5: I have been told indirectly before that I needed to be more "inclusive" in my recruiting. At the time my entire roster was African American. I knew what it meant and I now try to keep a balance. It doesn't dictate who I recruit as I am going to get the best players that i can, but it certainly is in the back of my mind when I look at my roster. C8: My players and staff do not have to be gay, black or whatever, but they must be acceptant of everyone on or team reguardless of their status. C12: Our school prides itself on its diversity and our program is the same. A kids ethnicity has absolutely no effect on our recruiting her. Question #6: Does a players looks matter when recruiting them? C3: Not in recruiting. We understand in marketing how attractive kids affect attendance, so if we have what society may consider pretty on our roster the school will market that. Our fans rally behind ballers so we know who gets the most applause during introduction and its usually the most effective players not the cutest. My preference would be a local player. Question #7: How willing are you to allow kids to transfer of accept other transfers? C1: If a player doesn't want to be here, I have no problem giving her a release. C2: I will release a player, but if I believe a coach has tampered I will bar her from going to that shcool. C4: I would absolutely welcome quality transfers, especially graduate transfers because they can play immediately. That's why we defer early graduation. Follow up Question: What do you mean? Well you know, most kids come in and don't know what they want to major in or what they need for their majors. So it's a common practice to scatter their classes so that it's not targeted toward a degree. Follow up Question: How do players graduate? Everyone will have the opportunity to graduate even if we have to offer a 5th year, just not before their senior year. Some kids come in focused and educated on what they need and with summer classes can graduate in 3 years or use a redshirt year, it's hard to keep those kids because they are free to transfer without sitting out. Follow up Question: Can athletes persue any degree or masters program? Usually No. Some degrees are discouraged because of the rigourous nature of the degree and the difficulty to maintain gpa and participate in athletics, those that due persue those degrees anyway usually switch on their own. A few degree progarms aren't allowed because they don't fit into game and practice schedules. Question #8: When recruits send in video, do you watch them? C1: I sometimes get dozens of videos a week, many times they are bad. Play is bad, quality is bad, just bad. Depending on who the video is from, I may never open it. C2: I don't have time to sit and look at videos unless I ask for them. C3: If I don't know the sender, I probably won't sit and watch. C4: I'll give videos :30 seconds and if I see something that I like I'll give it another :30 seconds, if not I'm clicking off. That's my rule. C11: I love getting video. I watch them all. Always looking for new talent. The biggest problem is the many times the video doesn't contain the player's information. C12: I think some players should have someone look at the video before they send it. Sometimes its not good quality or it was taken so far back that you can't see the numbers or tell who the players are. C13: That's the first thing that I ask for when I get emails or her about a player, do they have video. Question #9: What's your thoughts on AAU/Club coaches? C1: There are a few that have been out there for a while that I talk. I am able to get good leads on players off of them, then there are others that try to sell you on every player on their teams. I kind of know who I can trust and who I can't. Follow up Question: How so? So many have their hands out, they either have daughters that they are pushing in order to recruit their kids or they want some type of favor. C4: I like to get in good with them, especially those that have a history of producing talent. I had a couple of AAU coaches in the past that have sent me players that have helped me be successful. C5: Some coaches spend too much time trying to show you how smart they are. I can tell when they are coaching they over coach and the game becomes about them. It shows up in conversations they talk a lot about themselves and their coaching or who they've coached as if they are applying for a job. You kind of stroke their egos a little bit, sometimes I'll invite them to coach my camp, anything to get the conversation on the players. C7: I'm finding that a lot of them are steering recruits to certain schools. I've put in calls to AAU coaches and high school coaches that haven't given the kid the message to call me back. C9: When they have daughters, I may offer their daughter or invite her out on a visit and tell him to bring the kid that I'm really recruiting with them. I found that recruiting the coaches daughter makes the coach an advocate for your program. Question #10: What's your thoughts dealing with parents? C3: I think parents are a reflection of the child. Some parents are so crazy that I wouldn't recruit their kids because of them. It seems like every year there's one or two parents from my team that want to have a "meeting". C10: Most parents are easy to deal with, they want the best for their kids. I like to get close to them and know them well, but I seperate myself from them after they get in my program. Parents become totally different people once their kid joins your team. They have a hard time separating friend and coach. Question #11: Most schools will get a maximum of 4 players per year, but it seems that a bunch of offers go out to kids. Do you offer more than you have scholarships for and how do you manage that? C1: I generally don't offer more than 10 kids and then I recriut the heck out of them. It's been pretty successful so far. C2: I offer kids that I have a need for. These kids are fielding multiple offers and visiting schools every week. When we get a feel on which kids are serious put are efforts into those kids talking more and visiting their schools. C7: I've never offered a kid, I just let them know we really like them. I tell them that they would be a great fit or something like that. My job really is to get players on campus. C8: I try to be honest with kids, I like to let them know that I have offers to other kids for 1 or 2 spots. You get an ideal of how serious they are as the urgency gets near. I just wish kids and parents showed the same honesty in their interest. C11: We may offer 20 players to get one. Usually when we get the player that we want we just stop contacting other kids and most of the time they fade off. There have been a few times that players have been very persistent and we would just say that we signed another player, ususally though is we stop answering their calls they move on. C13: We keep a board of players we are recruiting in order of importance. We only offer two at a time. Once we feel that a player we offered is not tending the offer we move on to the next player on the list. Question #12: Where should most of the blame with transfers fall on the players for picking the wrong school or the coaches for recruiting the wrong player? C1: I think at the end of the day, these kids are getting a quality education. Parents, AAU coaches and trainers are in these kids heads and filling them with unrealistic expectations. They need to look at the ultimate goal of education first and let the other stuff fall in place. C2: If I am to be honest, I have missed on some kids and have made their stay unpleasant to the point of transfer. Every transfer that I have had except two, I have wanted them to transfer because they weren't fitting in with my goals for this team. If I wanted them to stay all I had to do was play them more. C6: The player. They are picking the schools for the wrong reasons. Follow up Question: What reasons are those? Selfish reasons. Players just want to play, want to start, want to be in a particular conference. Sometimes their parents made the choice, or it's about the schools prestige or whatever, they are selfish reasons. Most players don't come to be a part of something special. To learn to work together to build unity, they don't understand sacrifice. It's all about ME and I thing that's the biggest disconnect. Question 13: Why does almost every player that transfer say that the coach is a different person than the one that recruited them? C5: It's like a marriage. When dating you put your best foot foward and it's an illusion. Coaches do it, players do it as well. It's not until you get married that you truely know your spouse. The first couple of years are the toughest, but if you can make it past that period you'll find that marriage is a wonderful thing. C9: We are the same coaches, but our roles change. College is tougher and coaches will be tougher. My job is to coach not to mold to 15 different attitudes. It's easier for 15 players to be on one page than one coach to be on 15 pages. C11: This is a business. I'm not going to keep recruiting players that are already on my team. Of course I'm different ; the player is different also. After this 8 1/2 month study, I believe that there is a disconnect in communication between what the student athlete is looking for and what the coach is willing to give. Players are running into culture shock once they get away from the security of their parents and coaches for the sake of landing the athlete may not have been totally forthcoming the the player. Over recruiting and recruiting over plays a role as well and I think that peer pressure for both the player and parent exist. 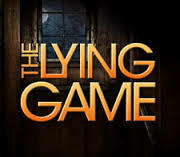 Parents site issues of used car salemen type deception to outright lies, yet most coaches state that parents are hearing only what they want to hear. Then there is an issue of severe anxiety and depression that many players and parents go through that few are willing to talk about that is eating away at them to make a change. Although transfers seem to have gone down a bit this year, there doesn't seem to be a definative answer to a solution yet. So we will go on with another year of recruiting with players predestined to finish their careers somewhere other than where they started many coming in the door with a Plan B in mind.